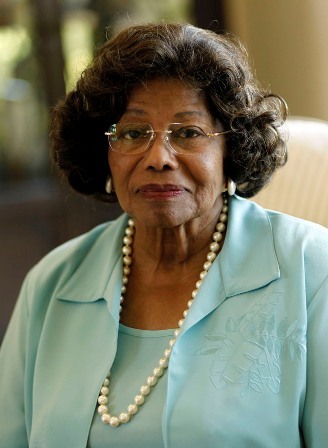 A judge Tuesday dismissed Katherine Jackson’s request for an extension of a restraining order against her nephew, after the 86-year- old Jackson family matriarch decided against going forward with the case. The ruling by Los Angeles Superior Court Judge Rolf M. Treu does not prevent her from filing another case against Trent Lamar Jackson in the future, but it would have to be based on new facts and not the ones alleged in the dismissed complaint. Katherine Jackson’s new attorneys, Nelson Handy and Vatche Zetjian, declined to comment after the hearing on why their client was dropping the case. However, Handy told Treu that she did not know the hearing would be similar to a full trial. “She was not prepared for that,” Handy said. The octogenarian was granted a temporary restraining order in February. Court papers submitted on her behalf alleged that her nephew wanted to maintain control of her finances and live in her guest house without having to pay rent. The papers also alleged that family members have witnessed ongoing abuse by her nephew, who once worked as her driver. He is the son of Luther Jackson, brother of her ex-husband Joe Jackson. Trent Jackson was ordered under the TRO to return all keys, passwords and combinations for his aunt's property and to stop obtaining access to her bank accounts. He had been ordered to remain 100 yards from her and to not enter the gated community where she resides. Trent Jackson's attorney, Ronald Rale — who calls his client “a teddy bear” — said justice was served with the dismissal. He said the case should not have been brought and that his client has great affection for his aunt. “He is truly hurt by this,” Rale said. Rale said Michael Jackson hired Trent Jackson several years before the pop star died in June 2009 at age 50 of acute propofol intoxication. Rale said Trent Jackson has moved out of Katherine Jackson’s property.